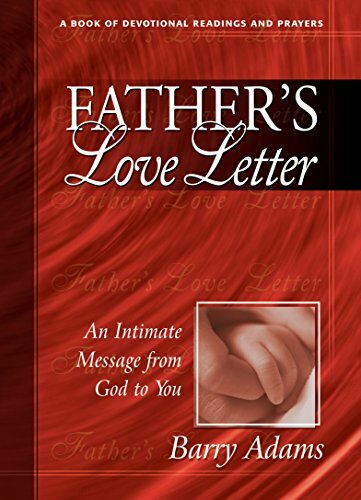 Experienced by millions of people in over 100 nations via the internet, "Father's Love Letter", a series of paraphrased Scriptures that take on the form of a love letter from God, is now available as a devotional book. Father's Love Letter: An Intimate Message From God To You will impact your heart, soul and spirit. This full colour gift book contains 53 powerful devotional thoughts. A prayer that will help you put into words your response to God follows each devotional.